The rule of thirds is the basic knowledge of composition that most photographers use when placing items within the frame to make a picture. 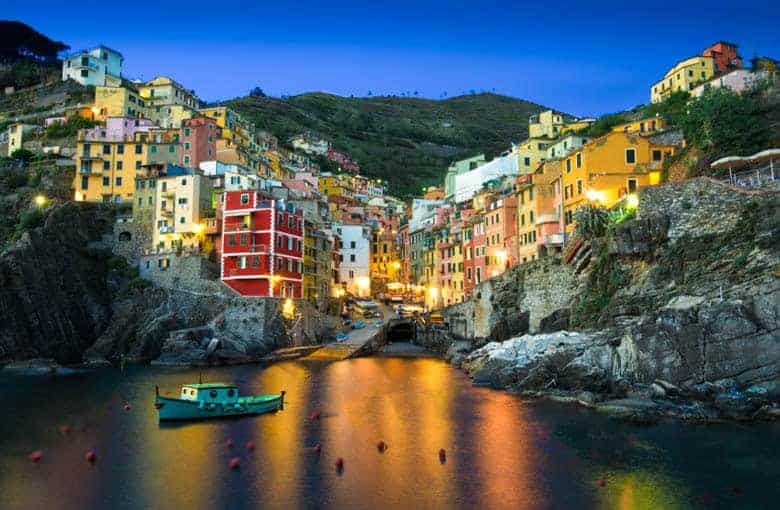 While it's an incomplete foundation of a composition, it is certainly worth learning and understanding as you learn the basics of photography. 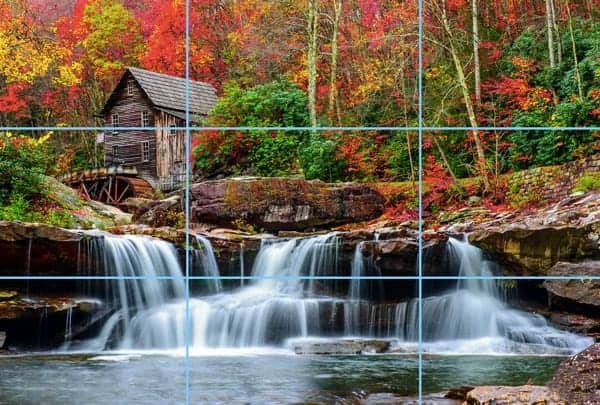 In its most basic form, the rule of thirds says that you should imagine a tic-tac-toe board on the frame of the picture, and then place whatever is most interesting in the photo on the intersection of those lines. But the rule of thirds also helps with placing larger items in the frame by placing them along the horizontal lines of the rule of thirds. In this photo, you can see that the mill was placed on the intersection of the thirds lines so that the photo feels more balanced and interesting. I could have placed it at any of the intersections of the thirds lines, but this one seemed to make the most sense to me. In the photo above, I imagined their were two horizontal lines (thus making three segments of the photo–that's why we call it the rule of THIRDS) and then two vertical lines on the frame. Then, looking through the viewfinder while imagining these lines, I placed the most interesting part of the composition–the mill in this case–right on the intersection of those lines. I could have picked any of the four intersections, but this one seemed to make the most sense in this instance. But the rule of thirds is not always quite that clean-cut. Look at the example below. What's the most interesting spot in the frame? Probably the center of the city, but it's really just the city as a whole that is interesting. It would certainly be peculiar if I would have zoomed out and included more water just so the city could be tiny up in the intersection of the lines. So in this case, I just put the top of the mountain along the top third line, and the water line across the bottom third line. It's not placed at the intersections, but just across the lines. It still follows the rule, just not as neatly as the example above. Also, you'll see that I put the boat in the bay at the bottom-left intersection. It's a nice touch even though it's not the ultimate focal point of the photo. Okay, so you have an idea of how to apply the rule of thirds to landscapes, but what about portrait photography? In portrait photography, the rule of thirds is applied to the eye line. 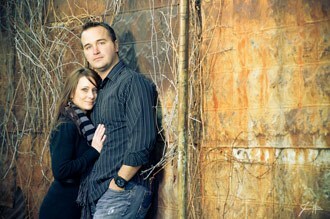 When I look at portraits from newer photographers, I often see them placing the subject's eye line too low in the frame. Most newer photographers place the eye line in the middle of the frame,which leaves far too much head room (space between the top of the head and the top of the frame). Professional portrait photographers almost always place the eye line along the top third-line of the frame. This leaves an appropriate amount of head room, but also puts the model's face slightly off-center which adds interest. Now that you've learned that, you'll notice it everywhere! Even on TV, you'll notice that when a single person is in a video shot, the person's eye line is usually on the top-third line of the frame. Let's critique this image from my favorite TV show to help drive this point home. This shot from TV doesn't follow the rule of thirds quite perfectly, but it's close enough. You can see they didn't place the subject dead center because it's just not as interesting. An amateur photographer, or videographer, would place Jim Halpert from the hit show “The Office” (the American version) in the center of this picture. However, they have chosen to place him over to the side and up higher in the frame to follow the rule of thirds. You'll see that they didn't get it perfectly lined up with the rule of thirds, but it's close enough. The people's faces in this shot have the most “visual mass” so it takes much more “negative space” (blank wall) around them to balance them out. The rule of thirds works because it adds interest to the scene by balancing an object with “visual mass” with a larger area of negative space. To balance out the fact that the faces are the most interesting, you have to use a much larger area of “negative space.” Negative space simply means a portion of the photo that is mostly blank. In this case, it's the tin wall to the right of the couple. By using the rule of thirds, the couple is placed on the top-left intersection of the frame (simply because that's the intersection that felt the most natural to me). Since they are very interesting, I need a LOT of blank wall on the right to balance them out. 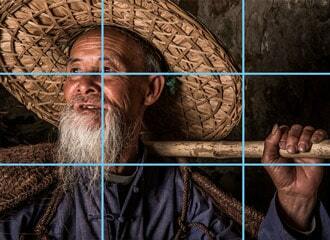 That's why the rule of thirds makes a composition feel balanced, despite the fact that the people are off-center. This composition completely violates the rule of thirds in every way, but I like the composition. I mentioned in the beginning of this article that the rule of thirds is a great foundation for understanding composition in photography, but it's certainly not everything. I encourage my photography students to learn and adhere to the rule of thirds for the first while as you learn photography, but to recognize that there is much more to obtaining a solid composition. Let me show you an example of where the rule of thirds falls flat on its face. When I was photographing this model, her expression really caught my eye. It conveyed so much that I asked her to freeze and let me capture a dozen or so photos of this expression. The photo I ended up liking most from this setup was this one. It violates the rule of thirds in every possible way, but since her face is so full of expression and mood, it feels like putting it in the center creates more drama. So the rule of thirds isn't everything. I break it all the time. In fact, I've been writing a book on photographic composition and I came up with a rule that I feel explains solid compositions much better than the rule of thirds, but it's a bit outside the scope of this article. If you're really interested in learning it, though, you can get my Photography Start class, where I have a video teaching Block Method composition. I took this photo of a gentleman in China and used the rule of thirds to place him creatively in the scene. 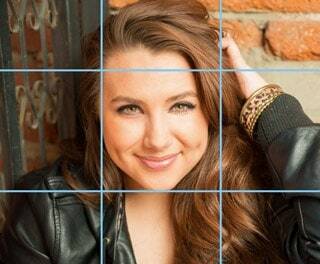 Where did the rule of thirds come from? The rule of thirds dates back to Sir Joshua Reynolds in the year 1783, but the first recorded writing of the rule is merely quoting Sir Joshua Reynolds as having taught it. There very well could have been others at earlier points who promulgated the rule. The ancient masters of art (including Da Vinci, and others) believed that no negative space in a painting should be the exact same as any other area of negative space. 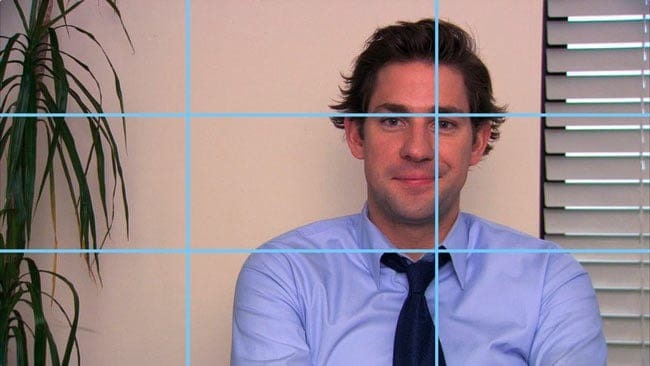 The rule of thirds assists the artist in following that rule by harmonizing areas of greater visual mass with areas of negative space, and not placing the area of visual mass in the center, which would then leave equal negative space on either side. Ready to learn photography? I have a completely free 8-page photography basics article that will walk you through all of the most important fundamentals of using your camera to get perfect exposures and crystal clear sharpness. I call it the photography basics series, and you can read it here.